Well, the Fall Quilt is finished. 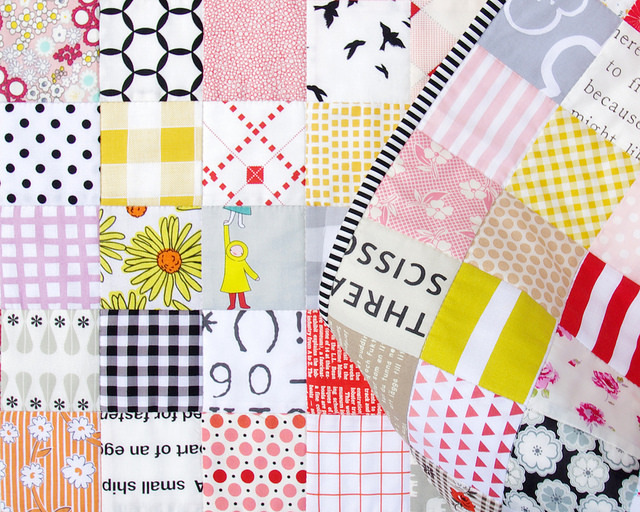 I am glad that I "lost my way" with this quilt for the color palette is perfect; warm and cheerful on this rather rainy Friday morning. This quilt isn't just about the colors though, for on closer inspection there is much to see ... from animals, birds, flowers, to accessories, sewing notions, food and fruits. 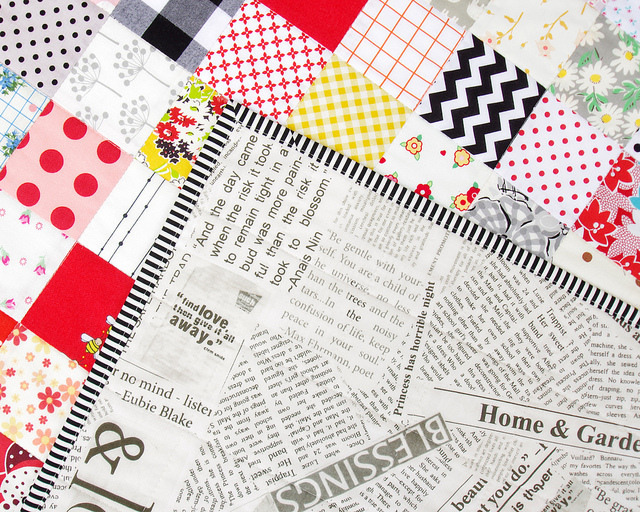 I love adding these little notes of interest to my quilts! This is my idea of relaxing, easy sewing ~ allowing the fabrics to shine, the colors to play together, and the prints to tell a story. It isn't necessarily a quick process as I have to walk away from my design floor often, edit my fabric choices (and sometimes completely change my color palette), and revisit the stash. For the back of the quilt for I have again used my "go to" backing fabric which is Newsprint from the Paint collection by Carrie Bloomston, and matched it with my signature black/white stripe binding fabric. 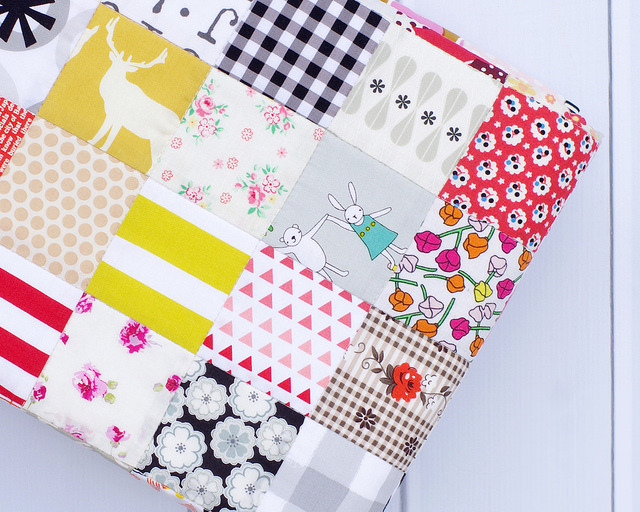 See all the listing details here: Modern Patchwork Quilt. 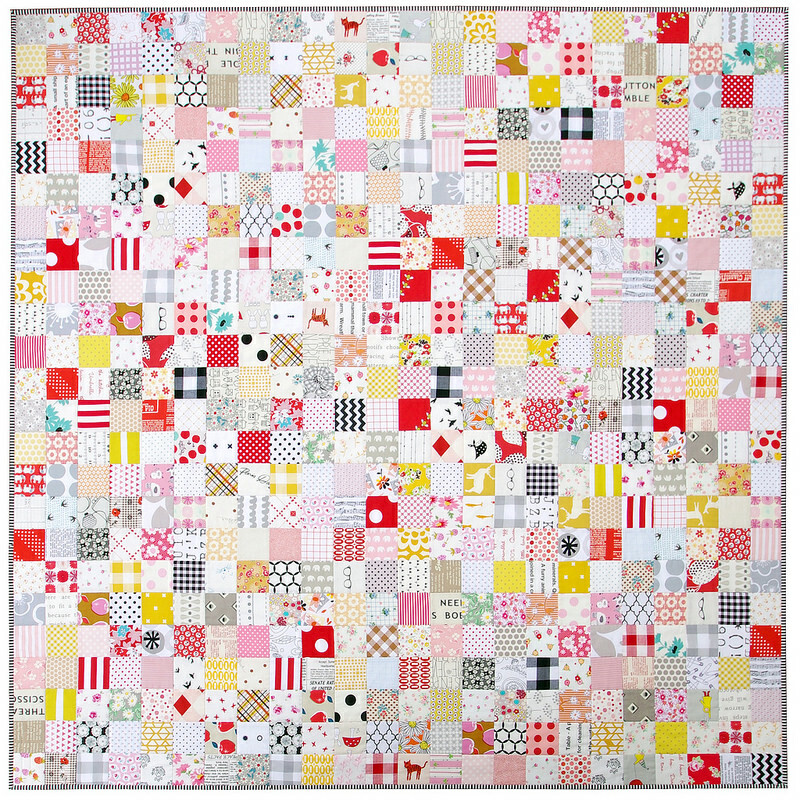 Quilt measures 60 inches x 60 inches. 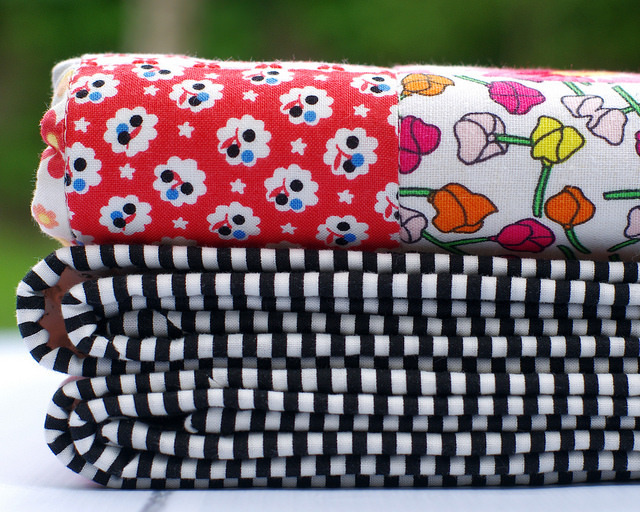 featuring 130+ different quilting cottons. As always, thank you for stopping by to take a peek at my work. Enjoy! Absolutely stunning !! Love the colour palette - so bright and fresh ! 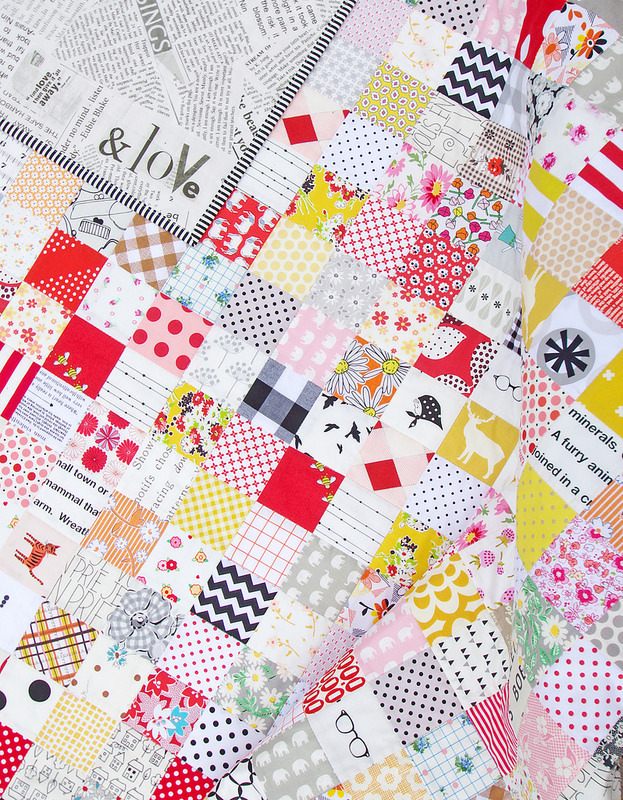 I love the fussy cutting you did! So very sweet. I really love this mix of colors and prints! It is PERFECT! I just love the way the yellow and red pop! 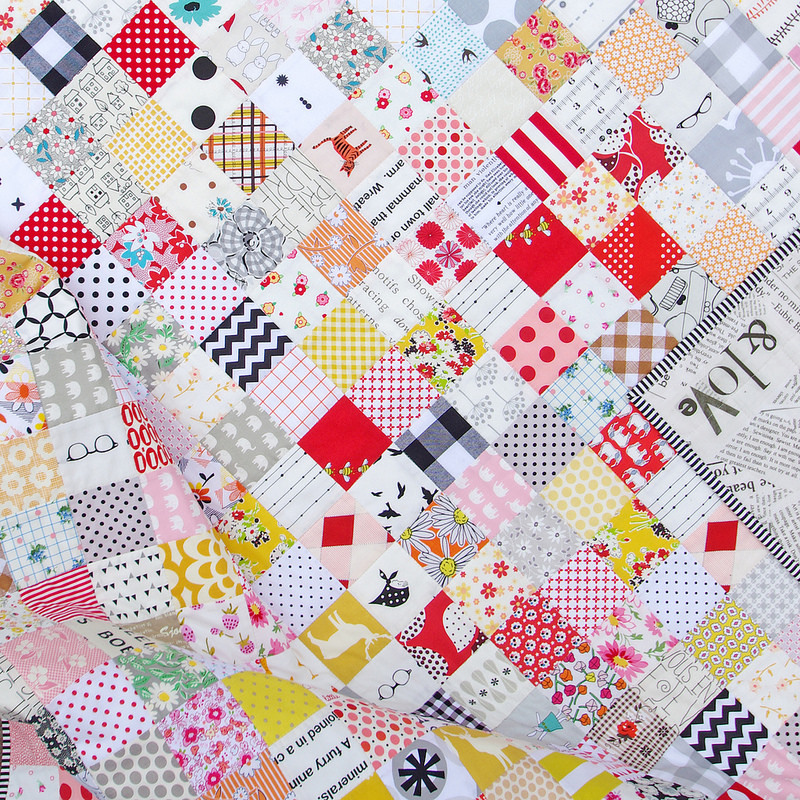 If I could have my favorite quilt, it would be this one! This to me is an Amen! Love the colors. Yes, it does look like the Fall Leaves! Thanks for sharing all of your wonderful and industrious creativity, Rita. Simple is sometimes the best route. You said it exactly, let the fabrics be the focus. Nice combination of colors. 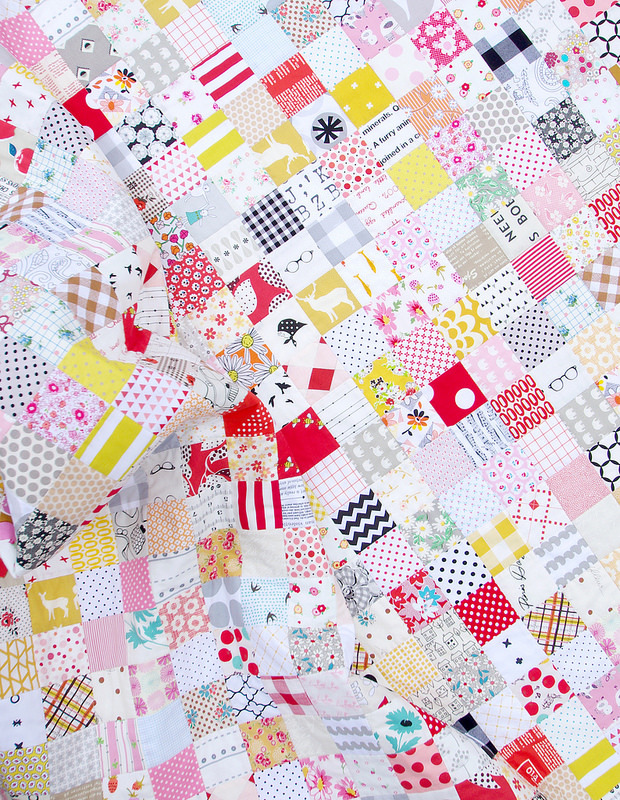 Great looking quilt! I like the color balance of the red, golden yellow and pink with the whitish background and all the little surprizes make me smile! cheers! 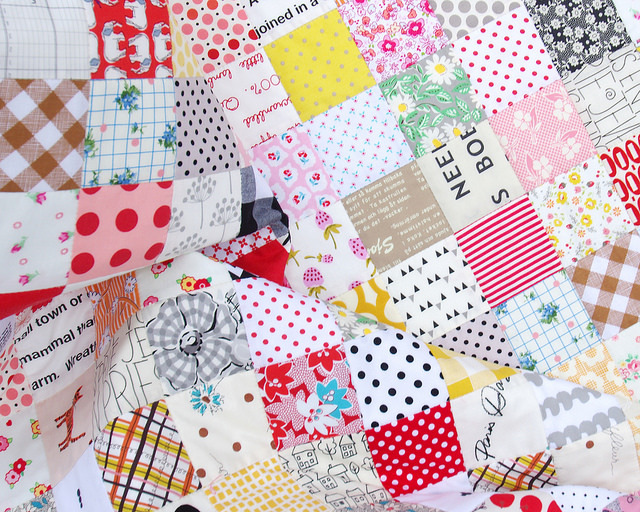 I always love your quilts, we have the same taste apparently. They do take time to put together, you are so right about walking away from it and then coming back to tweak it again and again. I like to use my bed and work on another project while I am tweaking. A wonderful collection of exquisite fabrics! 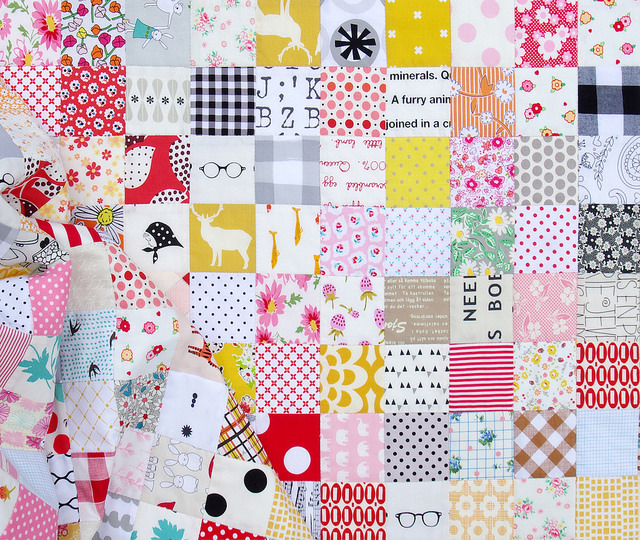 Absolutely lovely quilt. Love the colour palette. I suffer from stash envy when I see your work. I would love to have a glimpse of your stash. 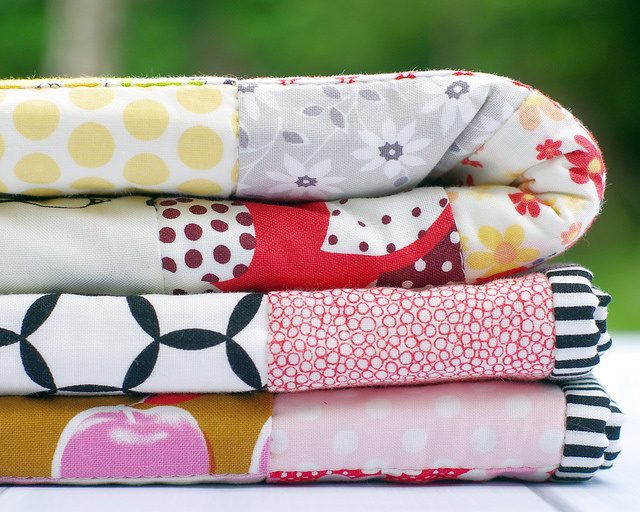 Actually, I would love to have about a week of rifling through your fabric piles. Gorgeous, I love the color choices. 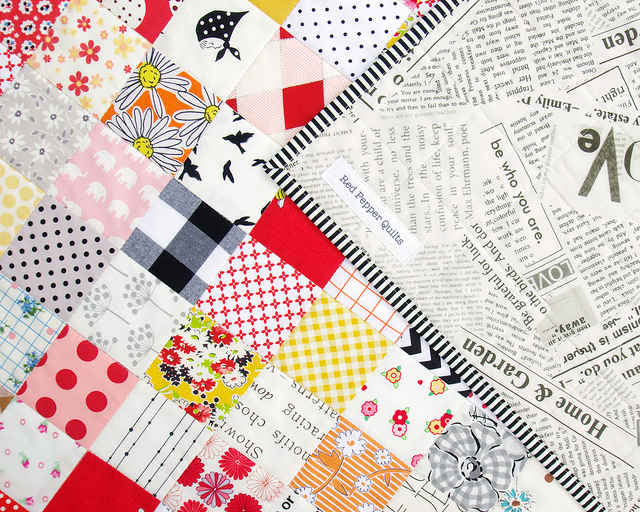 Question, what type of thread do you use when quilting and what is the stitch length?